Mark Davis’ head-scratching decision to move the team to Las Vegas has proven to be a major distraction for the team. Sunday’s game in Mexico City gave us a glimpse at the future of the Raiders franchise and, man, was it depressingly familiar. A talented but flawed Raiders roster with Super Bowl hopes was underperforming amid dysfunction and swirling negativity that starts with its restless team owner’s wandering eye. Stop me if you’ve heard that one before. Of course, you have. That sentence has been written about the Silver and Black in nearly every decade the Davis family has owned the team. “Karma” was the operative word on Raiders social media after the blowout loss to New England in Mexico. As in, Raiders owner Mark Davis brought this disappointing season on himself by betraying Oakland fans again with this move to Las Vegas. Interesting theory. But I don’t think karma explains the Raiders’ woes. The real culprit is Davis’ incompetence, and the dysfunction he has created is shooting this franchise in the foot. Again. The Raiders are going to miss the playoffs this season for the fifth time in Davis’ six-year tenure because of incompetence and the poor choices he’s made. And his regrettable, head-scratching attempts to move to Las Vegas is the biggest factor of this sad equation. Coaches in today’s NFL talk obsessively about the dangers of “distractions.” Usually, they’re talking critically about players who distract the team with off-field issues, like a drug problem or a brush with the law. Players who cause those “distractions” tend to lose their jobs and get kicked out of the league. The Raiders’ biggest distractions are caused by their owner. If Davis were a player, Head Coach Jack Del Rio would have cut him two years ago. For all the talk of how differently Mark Davis operates than the late Al Davis, the sad reality is the son is repeating some of his father’s worst mistakes. Mark Davis’ refusal to show loyalty to Oakland and the East Bay — the only community to consistently and passionately support the Silver and Black — is an enormous error that might doom the franchise. What Davis is doing to loyal Oakland football fans with that move — for a second time — is unconscionable. It’s also self-destructive, because Davis is placing the Raiders in limbo for what could be a half-decade, wasting a big chunk of Derek Carr’s prime by saddling him with a lame-duck franchise. It really is a shame that owners can’t be traded. If Mark Davis could be fired, the Raiders’ biggest obstacle to success would be removed. Davis simply is in over his head. And every decision he makes puts him farther away from his goals, not closer. Davis hired General Manager Reggie McKenzie who has had six years to build a solid defensive roster, but hasn’t come close. Davis also hired Del Rio, whose coaching staff is one of the league’s least respected. But the franchise’s stadium selection is Davis’ greatest misadventure. The dispiriting “home game” in Mexico City looked exactly like the failure that critics of the Las Vegas move have predicted. For the proposed Vegas stadium to succeed, it needs to sell tickets to thousands of tourists, including fans of opposing teams, according to Nevada stadium backers. It’s mind-blowing that Davis agreed to such a deal, as it’s difficult to see how that ticket plan will yield on-field success. It will ruin the team’s home-field advantage, which has been a key contributor to great Raiders’ moments in Oakland. Even Al Davis used to speak glowingly of “the roar of the Oakland Coliseum” in the Raiders’ heyday, and the big role it played for those unforgettable teams. It’s difficult to fathom why Mark Davis seems so determined to leave one of the world’s greatest fan bases in Oakland, set among one of the nation’s wealthiest regions. Yes, the state of Nevada gave him $750 million of taxpayer cash. But all that money can’t buy the love he gets for free in Oakland, which a smart owner would transform into big profits. In short, a shiny new stadium is rendered nearly worthless if it’s in the wrong city and promises the franchise lackluster support. Davis’ Vegas dream is nothing but a mirage. In Oakland, he could have it both ways. He could continue the Raider tradition that he and his franchise claim to cherish, while cashing in on Oakland’s economic rise and the deep pockets all around the Bay Area. He also could provide Raiders players and fans some stability and continuity, which they haven’t enjoyed in nearly 40 years. Unfortunately, Davis has done the opposite. And his explanations for doing so don’t add up. In fact, he’s been a walking, talking contradiction. At last year’s Mexico City game, Davis honored Olympic gold medalist Tommie Smith, who famously protested racial inequality at the 1968 Olympics; yet, Davis then worked with arch-conservative, Trump-supporting Sheldon Adelson on the Vegas stadium hunt. He once said going to Vegas would unite the divided Raiders fan bases in Oakland and Los Angeles — which is much like a bigamist saying the best way to unite his two wives is by moving them in with his mistress. Also, it makes no financial sense to move the Raiders to Vegas, a city with a very transient population and far less people and wealth than the Bay Area. A franchise relocation is like an organ transplant. Sometimes it takes. Often it doesn’t. The Raiders’ struggles in Los Angeles a quarter-century ago is a perfect example. Those years in L.A. were marred by bad attendance and fan misbehavior. One Southwestern city already didn’t take to the Silver and Black. Why risk it a second time, especially when its failure appears to be the only sure bet in a town teeming with down-on-their-luck gamblers? In Las Vegas, you’ll have little more than what we saw in Mexico City last Sunday — a listless Raiders team built by a rootless, soulless owner in a stadium far from the franchise’s real Oakland home, with half the fans rooting for the opposing team. That’s not “Raider Mystique.” It’s just a big Davis mistake. The Oakland Roots has signed its first player — Oakland native Devante Dubose. The acquisition is one more sign that pro soccer is returning to The Town. 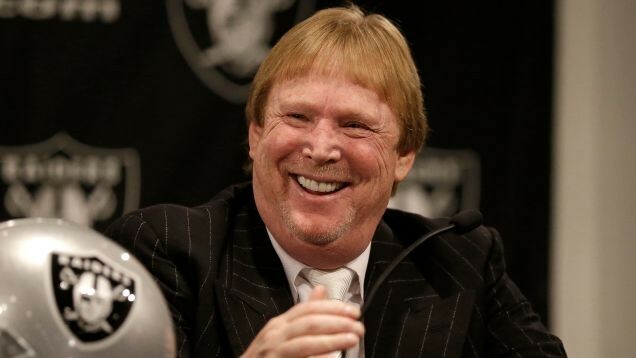 No metric factually supports the oft-repeated falsehood about the so-called “global Raiders brand.” And this delusion could have destructive results for Mark Davis, the NFL, and Nevada taxpayers. I’m rooting for A’s draft pick and Heisman Trophy winner Kyler Murray to make the decision that brings him the most security and happiness, whether that lands him in Oakland with the A’s or playing quarterback in the NFL.